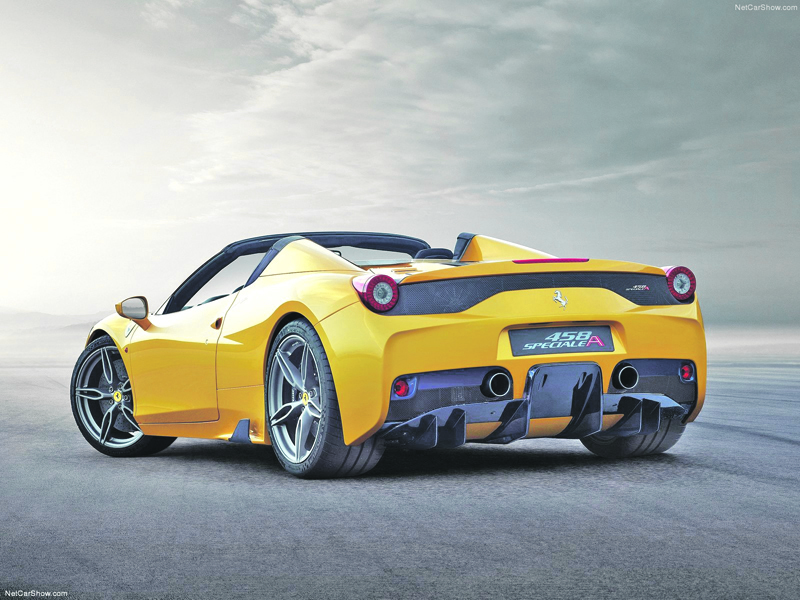 Ferrari announced the 2014 Paris Motor Show world debut of the 458 Speciale A (A as in Aperta). The new limited edition special series is a celebration of the dazzling success of the various versions of the 458, a model that has collected an array of international motoring media awards and track victories, not least a double WEC title and category wins in classic endurance races, such as the 24 Hours of Le Mans, the 24 Hours of Daytona and the 12 Hours of Sebring. 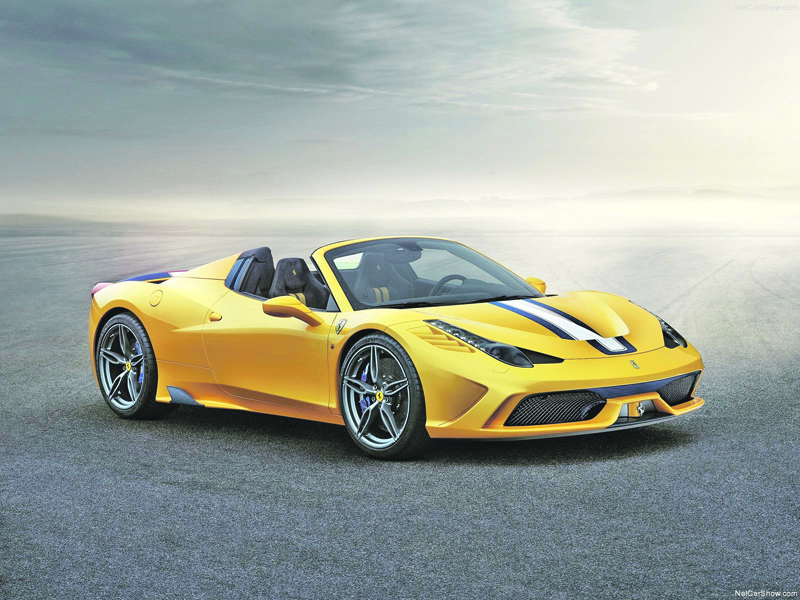 Dedicated to just 499 Ferrari collectors, the 458 Speciale A is the most powerful spider in Prancing Horse history, effortlessly marrying extreme performance with the sublime pleasure of drop-top driving. Its aluminium retractable hard top, which takes a mere 14 seconds to deploy or retract, helps reduce the weight difference with the Speciale coupé to just 50 kg. The 458 Speciale A is being premiered in a unique triple-layer yellow livery with a Blu Nart and Bianco Avus central stripe as well as five-spoke forged wheels in Grigio Corsa. The cockpit has a distinctive racing-inspired look: lightweight yet exclusive materials have been adopted throughout and, of course, crafted with Ferrari’s signature artisanal sophistication. This is particularly true of the finish of the dash, the moulded door panels and central tunnel in an exclusive blue carbon-fibre (also used for the treadplates) as well as the newly-designed seats in Alcantara© with contrasting stitching and 3D technical fabric.